Beauty!, a photo by recent realisations on Flickr. My trip to Ooty was just what i needed to get away from the rains and maddening rythym of Nasik Dhols in Mumbai. I got back feeling rejuvinated and in love! In love with nature, blue skies, tall trees, small wild flowers and an all pervading smell of eucalyptus!! I will be posting a few pictures from my trip. 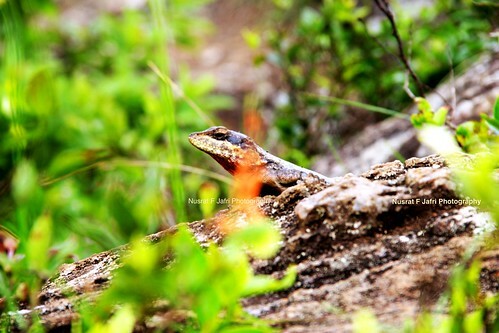 This is a rock lizard/gekko i spotted on my way to Lamb's Rock in Coonoor. He's beautiful! !